Keep checking this section for updates about, gems and jewels. While some of the information might be specifically relevant to Kaisilver jewelry, much of it is of general use. You need not need to be a gems or jewelry professional, to understand what we present here - great effort has been made to ensure that technical jargon is kept to the bare minimum. 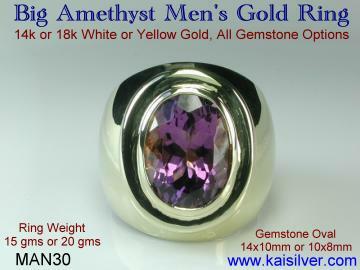 Contact us at sales@kaisilver.com if you need any guidance on issues related to gems and jewelry. Our vast expertise is at your service even if, you plan to buy nothing from us. So make sure that you stay well informed before making a buying decision. 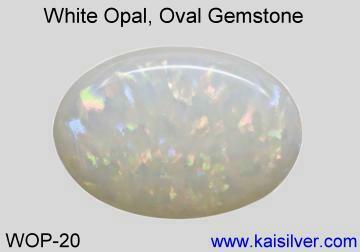 Despite the easy availability of Ethiopian opals at affordable prices, Kaisilver continues to craft it's opal gemstone jewelry with opals from Australia. This report explains why we prefer Australian opals despite the fact that, they are more expensive as compared to their Ethiopian counterparts ... more. Mens rings with size 12 to 15 can be considered as large rings, such jewels are best custom made as ready made rings for men in these sizes are not easy to find or cannot, deliver the desired quality. The Kai Silver report on large men's rings discusses this topic in detail ... more. Men's jade gemstone rings with Burmese jade are generally quite expensive especially if, you are looking for a natural untreated green gemstone from Burma. 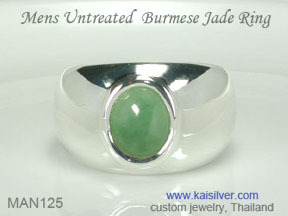 At Kaisilver we specialize in sourcing, moderately priced Burmese jade gems both in treated and untreated form ... more. 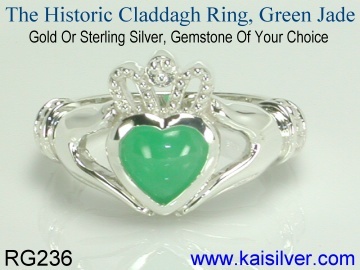 Should you choose untreated or treated jade for your jade gemstone jewelry. Your decision would be based on your budget and surely, on your personal preference. Dyed jade can give you great color at an affordable price but, untreated gems are important to many buyers ... more. 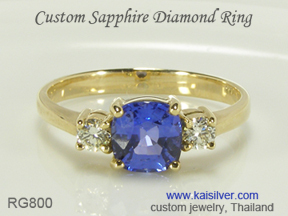 All Kaisilver jewelry can be custom made in gold or 925 silver. The design for your gold ring can be your own or, you could pick one from our website. 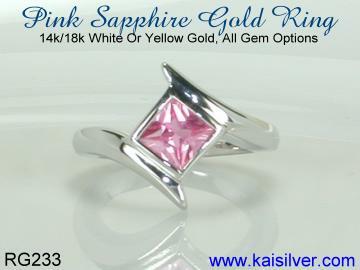 We provide options for 14k and 18k gold rings with a yellow, pink and white gold color choice. ... more. With colored gems entering the bridal jewelry scene in a big way, sapphires are quickly becoming the favorite. Increased knowledge about gems now makes young couples, open to sapphire colors that were never known to exist before. Our report on sapphire gem stone engagement rings has ... more. Tanzanite has some unique characteristics that make it perfect for an engagement or wedding ring. How about choosing a gorgeous violet-blue gemstone that is rarer than a diamond and found in just one small piece of land on the globe. 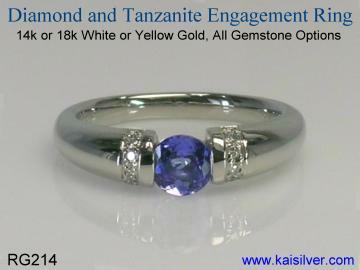 Welcome to tanzanite, the tremendous gem that is both rare and exotic ... more. Men's rings with green gems should be sturdy and durable. The gem selection for a men's men's green gem ring is important. 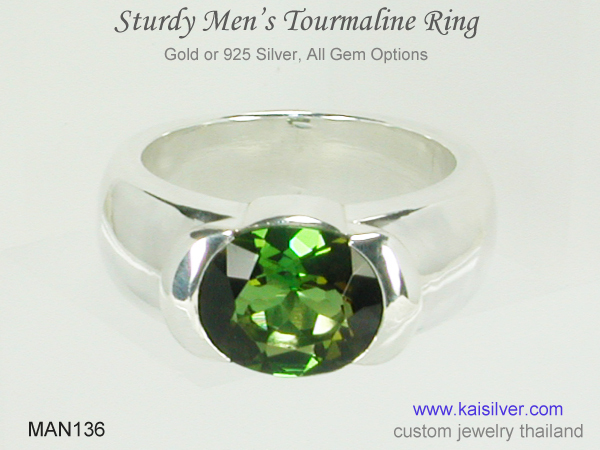 We tell you all about green gemstones that are suitable for men's rings. This is a very useful report not to be missed ... more.